Fire companies from West Deptford and Paulsboro were invited to participate in a yearly drill at the Paulsboro Axeon Refinery. Crews simulated a fire in the area of the train car loading area and a rescue assisting the refinery's emergency response team. Also on scene was Gloucester county EMS. 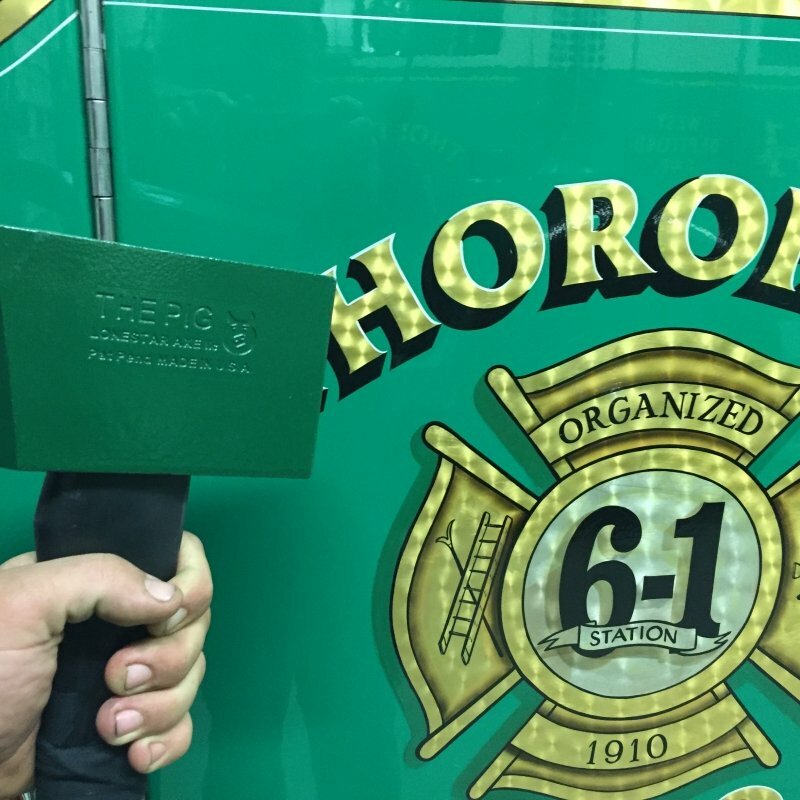 As a thank you for participating in the drill all five fire companies on the drill were provided with a "The PIG" forcible entry tool. At no time was the public in any danger, and this was just a training exercise.